Still Alice is the saddest book I've read in ages. Seriously, my heart was already broken halfway through and yet I couldn't stop reading. 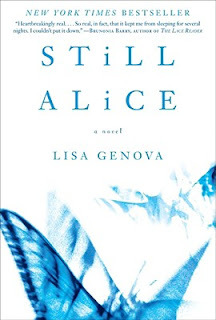 The novel tells the tale of a Harvard professor diagnosed with early onset Alzheimer Disease. In first person narrative, it follows her descent and her desperation to maintain control. It's so well written. I had some intense feelings of claustrophobia while reading it. The description of being lost with unreliable short term memories hit me so hard. It's almost like your own self is a prison with no ability for escape or understanding. This was a hard read but a good one. 10/10 stars. This was a heartbreaking book, indeed. I'm tearing up just thinking about it!